The Chairman of the Pacific Islands Forum and Prime Minister, Tuila’epa Sa’ilele Malielegaoi says an apparent proposed Chinese military base in Vanuatu is alright as long as it does not pose any threat to the region. Last week, the Sydney Morning Herald reported the prospect of a Chinese military outpost in Vanuatu had been discussed at the highest levels. Australia and Vanuatu’s governments have denied the reports. 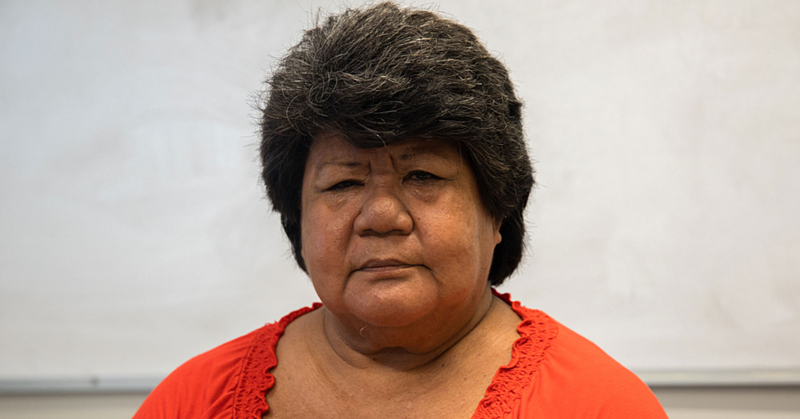 Tuila’epa told reporters that the matter might be raised at the Forum Leaders meeting in Nauru later this year. 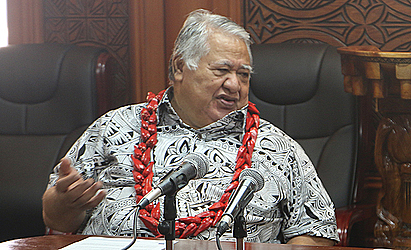 Tuilaepa pointed out that the United States has a military base in Guam and it doesn’t pose any threat to the region. He said the only threat the region is facing is from North Korea. But the “news” that Vanuatu was to be the site of a Chinese military base caught most people by surprise. Vanuatu government officials with detailed knowledge of relevant matters swore hand on heart they’d never even heard hints of such talk. Minister of Foreign Affairs Ralph Regenvanu questioned the sourcing of the report, telling the Radio Australia’s Pacific Beat radio programme, “I’m not very happy about the standard of reporting in the Australia media”. The topic has quickly become the loudest non-conversation in town. Tacitly at least, officials from all nations recognise Vanuatu’s strategic importance. Luganville, on the island of Espiritu Santo, was the site of one of the largest military bases in the entire Pacific Theatre during WWII. Home to about 100,000 personnel at its peak, it saw nearly one million service people pass through before it was decommissioned in 1946. What was true in the 1940s remains true today: Whoever controls Vanuatu controls air and sea traffic between the United States and Australia. Right now, that’s the government of Vanuatu. For more than a decade, this tiny island nation has leveraged regional rivalries to drive infrastructure development. Its dalliances with China, for example, resulted in a US$20 million investment by telecoms giant Huawei in an island-hopping communications network. That move is said by some to have motivated a multimillion-dollar commitment from Australia to fund telecoms regulation and management. For years, western nations were simply not interested in big-ticket, high-risk projects. Infrastructure projects worldwide are fraught with budget overruns, scope creep and delays. Risk-averse donors therefore shied away. Largely on the back of questionably “concessional” loans from the China EXIM Bank, contractors secured a mixed bag of infrastructure projects, ranging from roads to wharves to buildings. They include sport facilities, a convention centre and a school. But the most noticeable project was a US$90 million wharf project in Luganville. Almost from the outset, people raised the spectre of the old American base there. Many Pacific watchers think there’s no coincidence to a recently revived interest from the Asian Development Bank, the World Bank and other funding bodies in Pacific islands infrastructure. At the same time as the Luganville wharf was being constructed, Japan was also demonstrating its friendship to Vanuatu by building a major wharf facility in Port Vila, the capital. The US$70 million project came at much more favourable terms. Australia meanwhile signed on to a US$30 million urban infrastructure development project in the capital. The World Bank has already committed $60 million to the nation’s airports, and is reportedly considering upping the ante to $150 million. Despite the fact that Australia remains the largest donor in Vanuatu and the Pacific, analysts suggest that China has stolen a march on them by ingratiating themselves with politicians who see infrastructure projects as vote-getters.